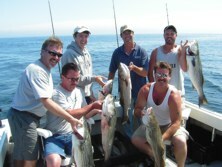 Charter fishing parties in Scituate MA. 7 charter fishing party boats. 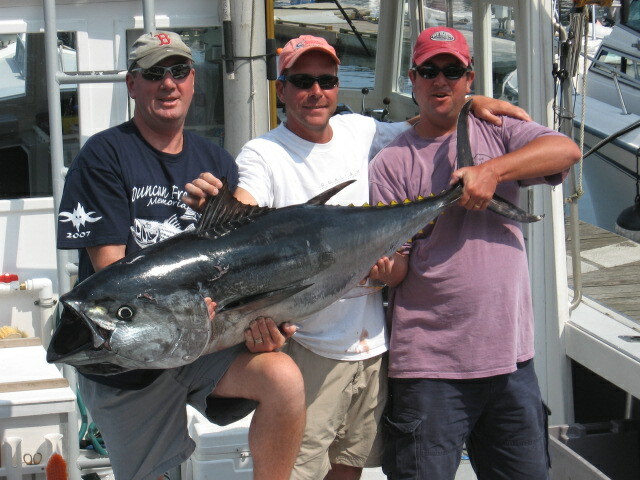 Bring the groom or bride out for great fishing party adventure. Take the whole wedding party out charter fishing or whale watching. The only bachelor party a Groom can get his rod bent and not get into trouble. This is a great way to spend a day that everyone will remember. Lodging and plenty of restaurants to accommodate the group. A company fishing party is more fun than walking around in the hot sun looking for your lost ball. Put a new twist on the old golf tournament and come fishing for your next company outing. 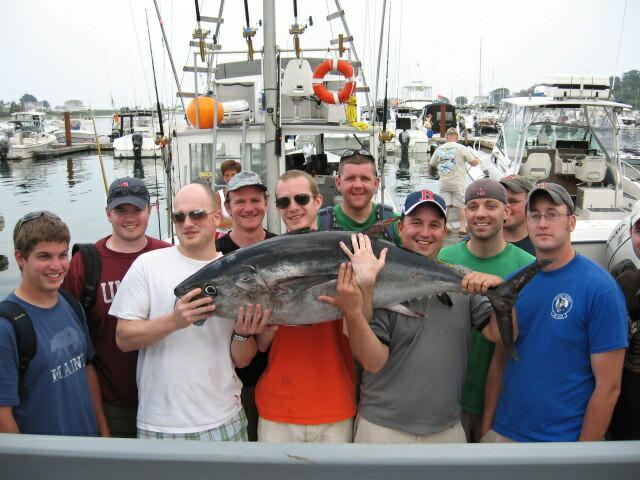 We offer a tournament style fishing day for up to 50 people. You can have a fishing awards party at one of the local dockside restaurants after the fishing tournament. A day of deep sea fishing or whale watching with the family or with your close friends is one of the best ways to bond as a group. We have family's that come every year for family fishing party's. Some of them say its their favorite family day of the year. Give a fishing party that everyone will enjoy from all ages children to adults. Scituate has many beachfront properties for rent where you could have a great family reunion vacation. "We aren't fishin for blue gills and tommy cod on this fishin trip Chief !"